Music, one of the hottest channels on YouTube, embraces billions of songs ranging from golden collections to the latest releases, classic music to pop songs, and full album playlists to movie soundtracks. It is a great idea to discover the favorite music on YouTube and enjoy it. On the other hand, the limitation of online playback in video form urges a part of people to explore a way to download YouTube MP3 audio to PC/Mac or portable devices for listening to music without any interruptions. If so, it is essential to get a qualified YouTube audio downloader. How to Download Audio/MP3 from YouTube? The fastest YouTube aduio downloader empowers you to download any videos to MP3, FLAC, etc, with hi-fi audios. Freebies are the most sought-after things at all times. Absolutely, some online YouTube to MP3 converters, like ClipConverter.cc, convert2mp3, please visitors because they are fairly easy to use thanks to the straightforward design. However, there are some disadvantages you should know. ▪ Ads on page and security problem make you annoyed. ▪ Relying on internet, not working issue or download failure may happen when using those online YouTube audio downloaders. ▪ Direct download only happens when the file size is smaller or equal to the standard specified by some online downloaders. Otherwise, the audio will be sent to email and you should download it again from email. So, what is the best YouTube audio downloader to rip YouTube audio/MP3 music safely and trouble-free? WinX HD Video Converter Deluxe is an all-in-one online video downloader and converter available to download music/soundtracks videos from YouTube, Vevo, Vimeo, Dailymotion etc, and convert to MP3, WAV, FLAC, iPhone Ringtone and more audio formats in high fidelity. Wrapped with a concise interface, it can help you download audio/MP3 from YouTube without guess work. It also boasts the 83x real-time download and conversion speed owing to Multi-core CPU utility, optimized AMD 3DNow! and Intel SSE3 SSE2 MMX Instructions. In addition, this best YouTube audio/MP3 downloader is a totally safe and clean program bundled no adware, spyware or virus. At the beginning, download and install WinX HD Video Converter Deluxe on your Windows (10) computer. To download YouTube audio/MP3 on Mac, please turn to the Mac version – WinX HD Video Converter for Mac. Launch WinX HD Video Converter Deluxe and tap YouTube URL icon to access to video analysis window. Then, open YouTube.com and search for music/song you want to download. Copy and paste its URL to address bar in the pop-up window. Tap Analyze button located at the right of address bar. Music title, duration and versions varying from resolution, format, size and codec will be presented a couple of seconds later. Choose one version and check the Auto convert module on the left bottom of window. Click OK. Note: You can uncheck Auto convert option if you just want to free download YouTube video for offline playback or converting video to audio later. Step 3. Convert YouTube Music to MP3/WAV/FLAC etc. Once the music is added to convert list, the Output Profile dialogue pops up. Move to "to Music" category and select MP3, WAV, FLAC, AAC or other popular audios in demand as output format. Tap browse button to set destination folder (hard drive or device disk) to save downloaded YouTube audio. Finally, click RUN button to extract audio from YouTube. Tip: This best YouTube audio downloader also offers adjustable audio parameters, sample rate, channel, codec and bit rate enabling users to optimize output effect. 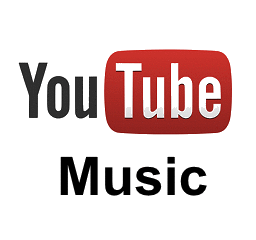 ▪ Free download YouTube music, movies, sports etc, in 8K/4K/1080P HD from YouTube, Vevo, Vimeo, Dailymotion and alike sites at a sharp speed. 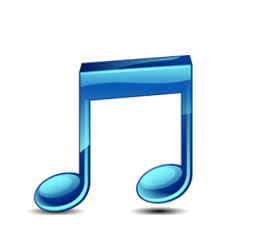 ▪ Extract audios/soundtracks in MP3, WAV, FLAC, AAC, AC3 etc, from music videos, movies videos with possible highest quality in a few clicks.